Change Checker Encyclopedia – Coin terminology made easy! The thing we love about coin collecting is that anybody can do it…but, we’re aware that to those who are not seasoned collectors, some of the terminology can be a bit daunting. So we decided to draw up a go-to terminology list, the Change Checker Encyclopedia, to ensure you never confuse your ‘base metal’ from your ‘bi-metallic’ again! The face value of coins is usually its legal value. However, their market value usually doesn’t bear any relationship to the face value as collectors pay close attention to the coin’s metal content, finish and rarity. This is the opposite side of the coin to the monarch’s head and commonly referred to as “tails”. This will usually feature an emblem or another design. These are the coins that you find in your change. As they’ve been circulated among the population they’re likely to show some wear and tear. A coin in a new condition fresh from the Mint originally intended for circulation but not circulated. Usually they have some small scratches and marks. These coins are struck to a superior finish and don’t have the scratched or blemishes you’ll find on the coins in your change. ‘Proof’ refers to the finish of a coin and is often a favourite amongst collectors. Proof coins are struck several times with special highly polished dies and usually have a mirror lustre finish, with frosted relief. This is a common and inexpensive metal, usually either Cupro-Nickel or Nickel Brass, used to produced coins for circulation. This is any coin that has been struck in a coining press. This is a block of hardened metal that has a design or effigy engraved on to it. It is used to impress the design onto a coin blank. 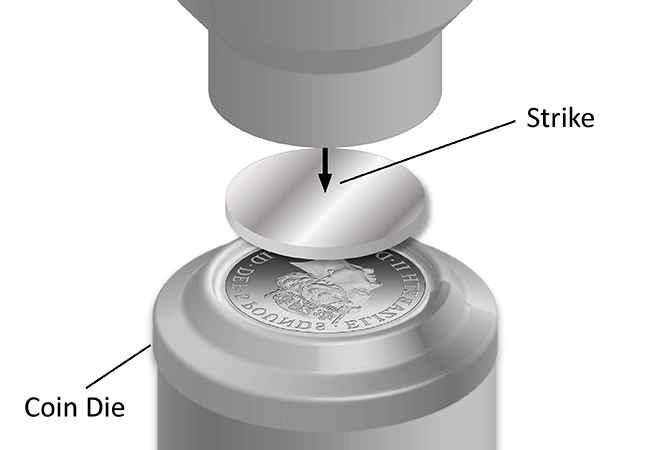 This is the final stage of the coin making process where an image is pressed (using huge force created by two dies) onto both sides of a coin blank. 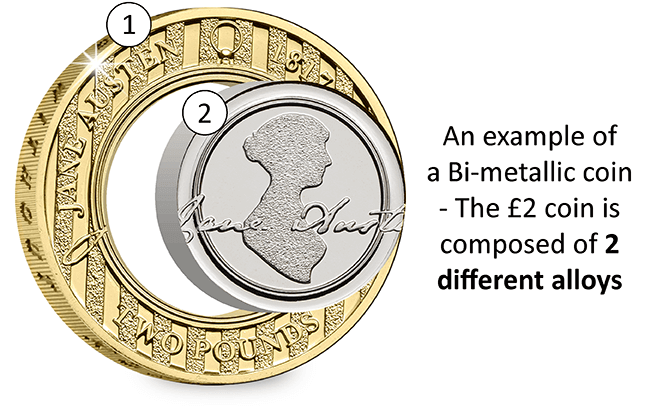 A coin made from the combination of 2 metals or alloys, our £2 and the new 12-sided £1 coin are good examples. The striking process is never fully exempt from human error and sometimes a coin can become mis-aligned during the striking process, making it a mis-strike. 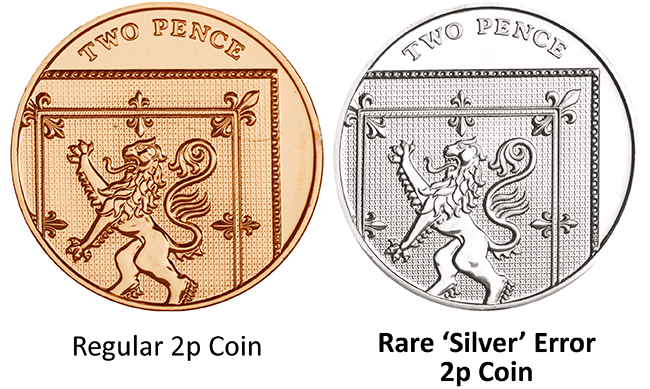 Genuine errors, such as the undated 20p and ‘silver’ 2p are extremely rare. If you think you’ve found one you can send an image to info@changechecker.org and we will verify if it is genuine. A mule coin is struck with an obverse and reverse that is not meant to be paired, such as this 2014 ‘Year of the Horse’ coin. 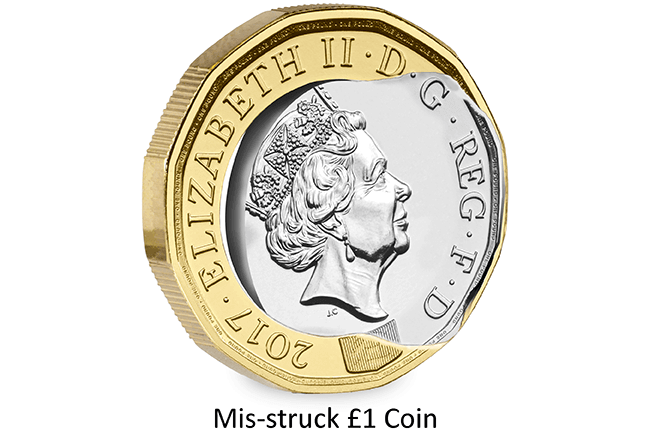 The wrong obverse (Queen’s head) die was selected when the coin was struck, leaving just 17,000 of the several hundred thousand mintage with the incorrect finish around the edge of the coin. No-one noticed until it was too late and the coins had already been released to bullion dealers. 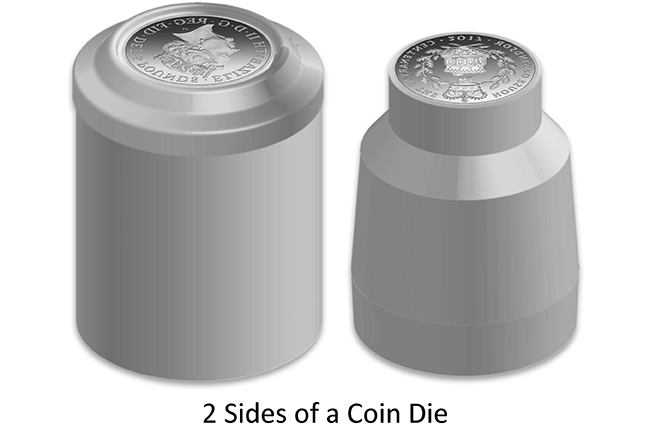 Simply speaking the mintage figure is the total quantity of a specific coin that has been struck. This can be higher than the ‘edition limit’ depending on how the coin is offered. 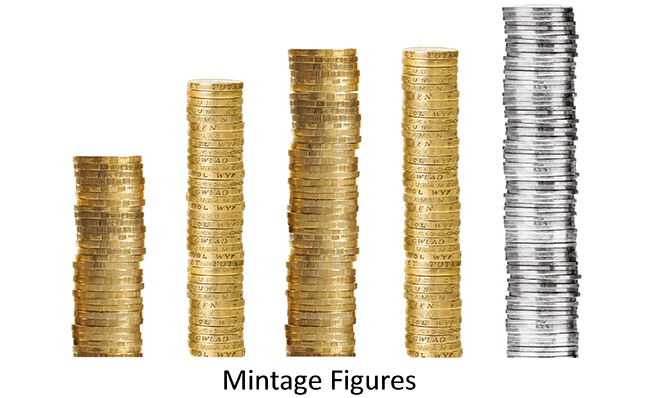 Mintage figures are only one of the guides to the collectability of coins as over time coins will be withdrawn from circulation due to damage, they may get lost or be retained by collectors. This refers to any organisation authorised to strike coins and medals. The British Royal Mint is one of the oldest and most respected in the world dating back to the 7th century. You can download the images from the Change Checker Encyclopedia so that you always have a copy to hand. It might also be worth mentioning that ‘mule’ is another term for error as that’s one that threw me in the early days. Here is an interesting question. 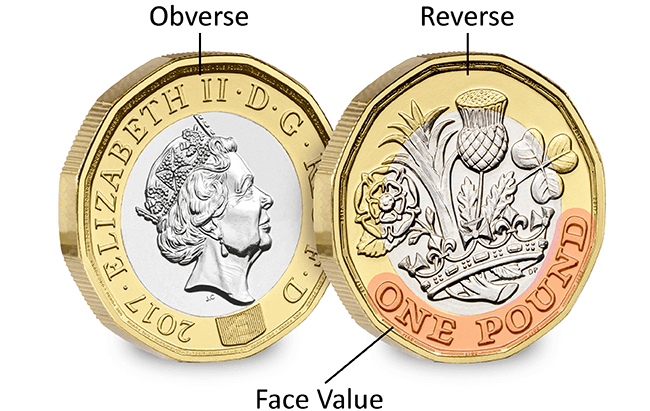 will the withdrawal of pre 2016 £1 coins increase the scarcity of higher mintage coins relative to the low mintage , as the high mintage ones will neither be in circulation or in rare coin collections. Will it change the scarcity index.